Writer Adam Nicolson is granted rare access to the ruins of the whaling stations on the remote British island of South Georgia. 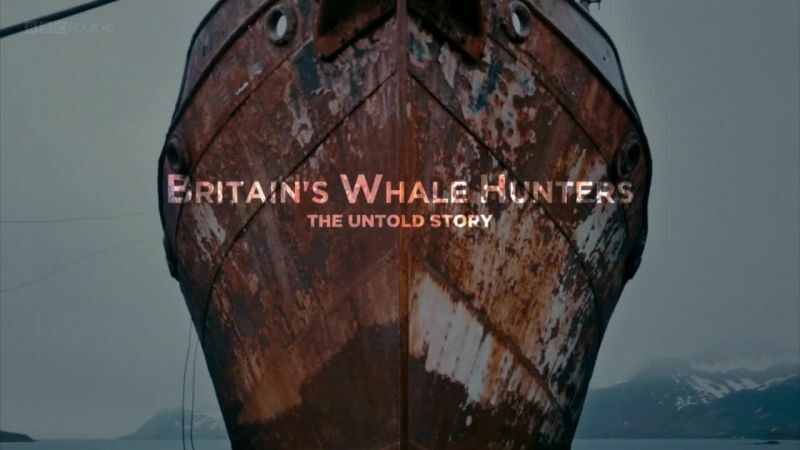 Amazing rarely-seen archive footage and first-hand testimony from the last of Britain's whale hunters reveals what it was really like to have been a whale hunter in Antarctica, providing Europe with essential oils for soap and food. Putting our modern environmental guilt to one side, this provocative series looks at how and why whale populations were so drastically reduced in the 20th century, and attempts to see whaling through the eyes of the time. A few hundred years ago the oceans were home to millions of whales, but then we found that they were incredibly useful for everything from lighting and fashion to soap and food. Adam discovers the remarkable, forgotten tale of Britain as a major whaling nation right up to the 1960s, while exploring the incredible ruins of its largest centre on the remote British island of South Georgia. Adam starts his journey on the west coast of Scotland, his favourite place to escape to since boyhood. It's his realisation that these waters would have once been home to many whales that has prompted him to find out about whaling. He sails up the coast to Stornoway harbour, where there's a vivid account of a traditional hunt of pilot whales. He discovers how whaling was commercialised to supply Britain's growing cities with a vast range of products: from corsetry and umbrella stays to street lighting. Adam travels via the Falkland Islands to the remote and spectacular Antarctic Island of South Georgia. This uninhabited British outpost very quickly became the centre of the world's whaling industry, with six whaling stations. The biggest, Leith Harbour, belonged to the world's largest whaling company at the time - Christian Salvesen from Edinburgh. In the mid-1920s up to 8,000 whales a year were being processed on South Georgia to satisfy Europe's demand for fat. The whalers describe the dangers of using industrial machinery to process whales, and Adam explores the hospital that treated the unlucky ones, still stocked with 1950s medicine. Meanwhile, some scientists in Britain were aware of the threat of the industry to whale populations, and a hugely ambitious piece of marine biology - the 'Discovery Investigations' - were launched. Adam visits a legacy of this program, the new ship Discovery, and learns how the original attempted to build an argument for sustainable whaling. While exploring an abandoned whale catching ship and taking a peek behind the scenes at the Natural History Museum, Adam examines the tussle between the industry and science. War-ravaged Europe was desperate for fats, and new attempts to regulate the industry proved completely inadequate to protect whale populations. It wasn't until population dynamics experts were included in the 1960s that the industry began to take action to seriously reduce catches. And by then, whale stocks were in a disastrous state with some species near extinction.